So many gun control advocates really do believe that the only reason guns aren’t banned yet is because of the NRA. They really do not understand that we’re bigger than the NRA. 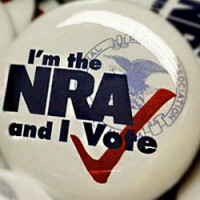 NRA membership is held by only a few of the millions of gun owners and pro-gun people. It’s not a top-down organization that tells us to jump. We tell the organization to jump. A few years ago, I wrote a series of posts of very specific ideas that people with different backgrounds and connections in the pro-gun community could take to protect their rights. There’s a good chance that some of those ideas need to be dusted off. If any readers tried some of these suggestions, feel free to share how they went over. Not every idea will work for every situation, but this should cover a great number of ways to engage people who are otherwise intimidated by the process of fighting gun control. What is the percentage of NRA members to total gun owners? Most gun owners I know won’t answer pollsters or researchers on the issue out of legitimate concerns of making themselves a target should it be a scam or if the information is released. In other words, you won’t know. In addition, a previous study found that more people believe they are NRA members than are paying dues. Some think that if they joined one year for $25 that it’s a life membership. 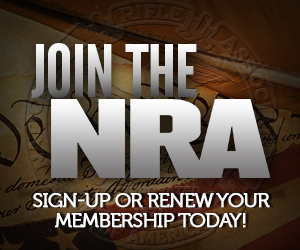 Others think that taking an NRA-certified training course makes them a member. There are many variables between those who actually pay dues each year (or a lump sum for life & upgrades) and those who pay attention to NRA information because they count themselves as part of the organization.